Nanoscience, the bottom-up exploration of matter from the most fundamental level of single atoms and molecules, constitutes one of the most exciting frontiers in science today. The nanotechnology toolbox has now matured to a level undreamed of before: single atoms and molecules are imaged and controlled to create and explore new structures with novel properties. Real-life systems like biological cells are studied at the nanoscale. The long-kept promise of nanoscience is now generating actual breakthroughs at the crossroads of physics, chemistry and biology. 2A. The workings of the inner cell from the nanoscale up. 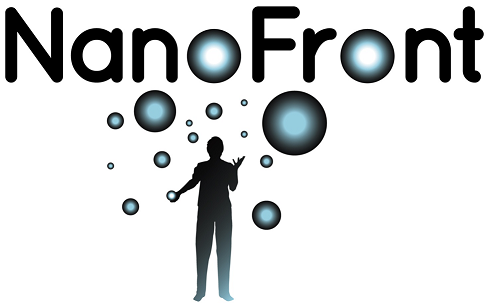 For a detailed description of the research within NanoFront, click on one of these logos to visit the relevant pages.